Asthma is one of the most debilitating and bothersome conditions that any person can go through, but thankfully, there are devices that make life a lot easier such as an inhaler and a nebulizer. Let's take a closer look at what these two helpful devices are and how they can be of use to you. 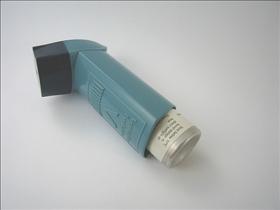 Inhalers are devices that deliver anti-asthma medications. They come in two types: metered dose inhalers or MDI, and dry powder inhalers. Of these two, MDIs are the ones most often prescribed. Nebulizers on the other hand are electric- or battery-operated devices filled with liquid anti-asthma medication, which is then turned into a fine mist for inhalation into the lungs. The mist is inhaled with the use of a mouthpiece or a face mask. 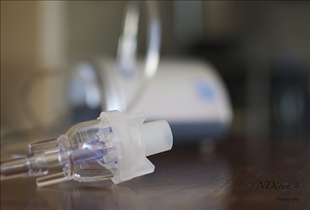 Nebulizers come in different shapes and sizes, although most tend to be quite bulky and noisy. In addition, most nebulizers have to be plugged into an electric outlet. Inhalers are often used in conjunction with spacers, which are attachments that make the inhaler easier to use. Spacers function as holding chambers for the medication, and they eliminate the need to carefully time the squeezing of the inhaler and the inhalation of the medication. This makes it a lot easier for young children and even babies to take their anti-asthma medication. Spacers also make the ingestion of the medication a lot easier. With some inhalers, the medication may get to the back of the throat, but not into the lower air passages. With the use of a spacer however, the medicine is delivered more efficiently into the lower air passages, where they can do the most good. Using a nebulizer is a lot easier, since there is no special procedure necessary. The only thing the patient has to do is to stay in a stationary position while receiving the medication. The process usually takes from 5 to 10 minutes, although it can take a bit longer. Inhalers are the better option for active people, or for people for whom asthma attacks are triggered by exercise or strenuous activity. Inhalers are also more portable than nebulizers, so it is easy to apply medication on-the-spot in just a few seconds. Nebulizers on the other hand are much easier to use with young children. In fact, children below 6 years old generally cannot use inhales at all. With a nebulizer, all the child has to do is sit still, while the medications are administered via a face mask or a mouthpiece held to the mouth and nose. Which asthma device is better?